Greetings readers. It has been a while since I made my last post — things have been crazy at Humanlytics trying to realize our dream of automating digital marketing analytics. The amount of works from all aspects of the company has prevented me from posting as frequently as I desire (Check out our new website, and contact us for a beta if you are interested). However, I have made a goal starting this week to make at least one post per week — so I will be back with more analytics discussion with y’all. It is most fitting to rekindle our discussions with a topic that I am most passionate about — Augmented Analytics. Last year, I wrote an article explaining what Augmented Analytics is, and why is it relevant to your business. However, we never had a chance to follow up on that discussion with an additional entry almost 2 years later. So here we go, a year later, let’s talk about Augmented Analytics again, and have another discussion on what it means to you and your business. What It Means and Why It is the Future of Data Analyticsmedium. 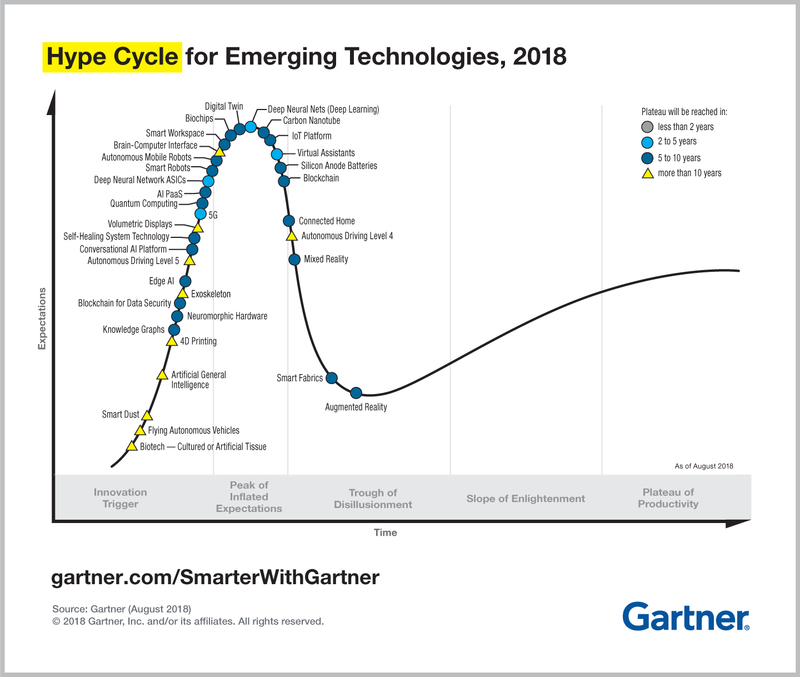 For those of you who follow the Gartner Hype cycle religiously, you will be disappointed to see that augmented analytics was removed as one of the entries in this years’ graph. However, this does not mean Augmented Analytics is no longer considered an emerging trend by lead thinkers of the industry. In the cited article, one of the most important insight is that more than 40% of the data science tasks current in place are going to be automated by the year 2020, which is less than 2 years from now. So augmented analytics is alive and well, but how can you, as either manager of your business (small or big), utilize this trend and make it contribute to your business? Automatically clean and compile different data points for rapid reporting and analytics. Identify trend changes in your key metrics, and drill down to identify potential opportunities for improvements in your data. Dynamically track actions you have taken to improve your metrics, and quickly (but not too quickly) identify the actions that are effective. Let’s discuss each of those topics in depth. Traditionally, the duty of reporting and analytics falls under the accounting department (that’s why a lot of the analysts nowadays still work for CFO of the company). In that world, data of a company is compiled on a monthly or even quarterly basis and then reported to management. This reporting process usually takes days if not weeks to complete, and when managers get their hands on their company data, the data is usually a couple of weeks or even a couple of months old. The introduction of technologies such as SQL databases, Internet of Things sensors, Centralized CRM and POS systems enabled companies to get access to their key operating metrics in real-time (or very close to it). However, real-time data is incredibly expensive and time-consuming to acquire, primarily caused by the amount of data science and computer engineering works required for the ETL (Extract, Transform, and Load) process. Usually, a company even of smaller sizes will have their data stored in at least 3 places — their advertising platforms (Facebook Ads or Google Ads), their owned platforms (Their website, collected via Google Analytics or Hotjar or Mixpanel), and their POS (point of sale) systems (E-commerce store system or physical cashiers). Data collected from those platforms are stored separately in each of those services, are in different formats, unconnected, and almost always do not agree with each other. It requires an incredible amount of work by both developers and data scientists to develop a measurement framework to connect data from all of those sources and integrate the data into a mega data sheet. Then, only from this sheet, we can calculate our beloved metrics such as Churn Rate, ROI, etc. Via augmented analytics platforms, this integration process can be a lot simpler and painless, requiring significantly less technical competency and cost from companies. With a platform like our Dataslinger product, business owners can perform this integration seamlessly, with only a few clicks through a user interface, and obtain the metric they wish automatically. First of all, augmented analytics platforms conduct deep integration among all of the data sources. Which means you can conduct analysis across different platforms seamlessly, such as analyzing the on-site experience (data from Google Analytics) of your users coming from a specific Facebook Ad (data from Facebook). Secondly, due to the complex nature of deep integration, and augmented analytics platform either have a comprehensive interface to walk you through how you want each of your platforms integrated, or have a specialist working with you performing similar tasks (we use the latter approach at Humanlytics). Finally, augmented analytics platforms give you more metric options that can only be made possible if all of your platforms are completely integrated. One of the biggest examples is Return on Investment (ROI), which requires data from all of your advertising platforms (to obtain the cost), and your POS system (to obtain the revenue). You may also have the option to modify the formula of those metrics to further customize your metric sheet. Data integration is very often only the beginning of the analytics nightmare for many companies. Even if you managed to obtain that integrated data sheet thru the hard work of your engineers and data scientists, you still need to figure out a way to interpret and obtain insights from the data. Even for a small organization, the “mega datasheet” will include 10–20 key metrics, and over 20 dimensions. Slicing and dicing even one metric across 20 different dimensions (for example, by age, gender, etc.) would require at least 20 analyses to be conducted. And this number will only grow exponentially (190 for two dimensions combined) if we want to conduct multi-dimensional analyses (for example, by age and gender, by geographic location and age, etc.). A common approach to bypass this huge analytics needs is via analytics heuristics — which is a fancy term for only conducting analyses the analysts think are important. Call it heuristics, call it intuition, or call it lazy, in my opinion, you will inevitably lose valuable insights that might make or break your company if you rely purely on the intuition of your analysts. While making your analyst conduct over 100,000 analyses to generate one report will make them very grumpy and sad, machines are designed to conduct those tasks rapidly and efficiently. Therefore, with the help of an augmented analytics platform, you can rapidly analyze all of your data across all possible dimensional combinations in the matter of hours or even minutes, and quickly identify factors that are contributing, or distracting from the growth of your company. Furthermore, an ideal augmented analytics platform can work with you interactively to drill deep into your data when you see a signal in a more shallow analysis. For example, the platform may have identified a major decrease in your mobile traffic in the past month for your website. To understand why, the platform may look through all possible other dimensions and identified this major decrease as a result of a decrease in female mobile traffic from Pittsburgh, PA who were visiting through Organic Search. Equipped with that detailed information, you have a clear direction of where you need to go next to find the root cause of this decline and take action to capture this lost opportunity. Use Case 3: Track the result of actions you have taken, and provide scientific conclusions on the effectiveness of those actions. Finally, even if you have obtained valuable insights about your company via some pure luck by your analysts (they will call it intuition), those insights are meaningless without concrete actions, and ways to keep track of those actions. In fact, this step is usually the most challenging step to implement when we are trying to implement analytics best practices for our clients. The most common complaint I hear from either managers or marketers is that they are too busy with all aspects of their business, being able to systematically track and measure their action is simply not possible. In some cases, we will have diligent clients looking at their analytics on a daily basis and trying to attribute changes they have made to their business to the changes in their data. But very often they are jinxed by a sudden change in their data right after them taking an action, without the scientific patience to wait until enough sample size has been collected before making a decision to continue or stop the action. With the help of augmented analytics platforms, those actions taken within the business can be automatically tracked, and a scientifically backed conclusion can be made by all managers regardless of their background in statistics — a true dream of a data-driven manager. As you may have already realized, those three use cases presented above are progressive, illustrating three major challenges your company will face when trying to be truly data-driven in your decision-making process. At Humanlytics, our Dataslinger tool is geared towards helping you bypass all three of those analytics hurdles and make analytics at your business effortless. We currently support integration with Google Analytics, Facebook Ads, and Google Ads, and if you are integrated, don’t hesitate to reach out to us at bill@humanlytics.co, or visit our website at www.humanlytics.co for more information about what our product can do for your business. CEO, Humanlytics. Bringing data analytics to everyone.